High cholesterol is an important condition to diagnose, manage and treat, both on its own and as an indicator of other problems. If you have high cholesterol and have tried to treat it unsuccessfully with diet and exercise, or even with medication, we would like to talk to you. 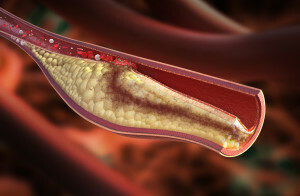 There is much more to learn and ongoing high cholesterol clinical studies are needed. There are ongoing high cholesterol clinical trials that you can participate in if you qualify. Please review the list and contact us if you are interested in participating. As always there is no cost to you to participate in clinical trials. High cholesterol, also known as hypercholesterolemia, is a condition where there are high levels of cholesterol in the blood. High cholesterol can have many causes, but the main one is heart disease. It is closely related to hyperlipidemia that occurs when there are a high number of lipids found in the blood. Diet, genetics, diabetes, and an under-active thyroid are other potential causes for high cholesterol. The U.S. Preventative Services Task Force recommends screening for high cholesterol as an early indicator of heart disease. Cholesterol is made up of different types of fat – LDL, HDL and VLDL. It is important to measure each when determining harmful levels of cholesterol. High cholesterol treatments include lifestyle changes. In obese people with high cholesterol that has been caused by their diet, the condition can sometimes be improved when they improve their diet. Quitting smoking and reducing the intake of alcohol can also be helpful. If lifestyle changes don’t work, then drugs may be prescribed. The American College of Physicians has set some guidelines for the treatment of high cholesterol. Treating high cholesterol may involve the use of statins and lipid lowering therapies.